Personal plans are now free! 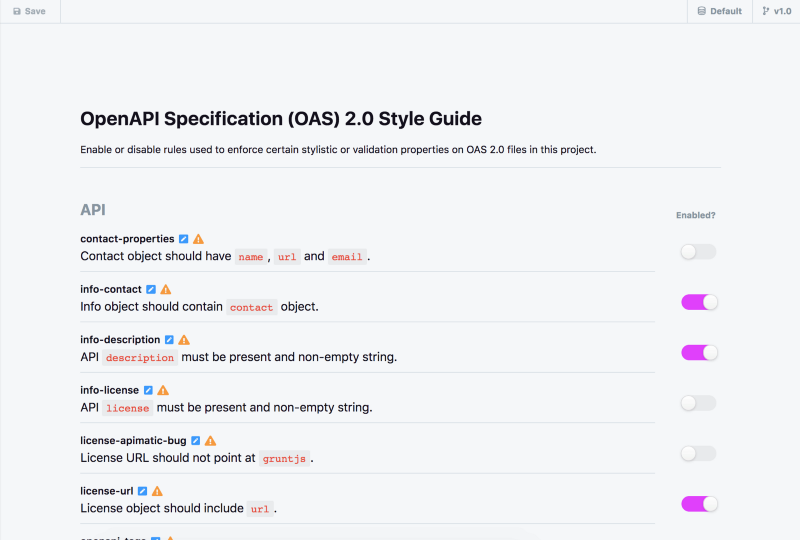 You can now customize the style and validation settings of your API design. This provides a practical method for enforcing API design rules over multiple APIs. You can enable or disable rules that monitor and validate things like your API, operations, Markdown, parameters, paths, and references. Learn more in the docs. 🔗 Personal plans are now free! Newly created projects will default as private. If you are currently paying for a personal plan, please email us at billing@stoplight.io to migrate to a free plan. [Platform] We no longer support Internet Explorer 11 (IE 11). We will continue to support IE 11 for published documentation, as well as all Microsoft Edge versions. [Platform] We no longer support Firefox 50 or older. Similar to IE, we will continue to support older versions for published documentation.